UPDATED April 25, 2019 12:34 pm . Add a new dimension of information as you enjoy this year’s NBA playoffs with Ducor Sports Analytics. Our innovative sports analytics platform is nearly ready and will be released just in time for the playoffs which begin April 14th. 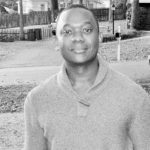 This sports analytics tool is loaded with the latest stats for each player and team, providing deep analysis and real-time predictions based on a wealth of performance data and scores. With our algorithms doing the work, all you need to do to predict a playoff winner is select the appropriate teams and see how they match up. The software allows you to view our predictions, check out team graphs, to drill down to view even more details for each player. NBA fans will love this tool before, during, and after each game. 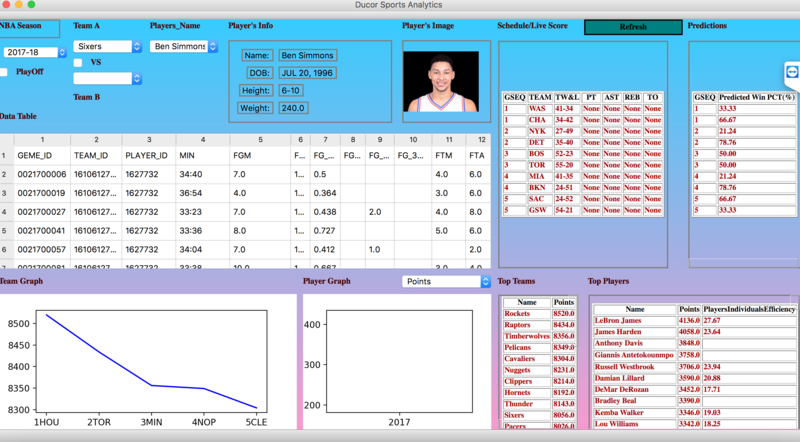 In addition to being an indispensable rink-side companion, Ducor Sports Analytics can help you make your Fantasy Basketball picks next time around. We’re releasing our Sports Analytics tool so you can have access to rich insights about your favorite NBA teams and players. Our next release will add professional soccer leagues. Further on the horizon, we may even expand our analytics software to the healthcare and financial sectors. Stay tuned for more updates!